Here at Healthy Body, Happy Spirit we want you to have all the tools you need to work towards a happy, healthy, successful future. That's why we offer all our readers the chance to grab a FREE copy of the report Healthy Weight Loss Success. 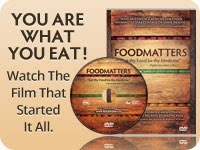 Discover the path to healthy, happy, sustainable weight loss and weight management. Beat cravings, learn how to give your body the nutrition it needs, and plan healthy meals for the whole family with ease. Unlike some blogs, we don't even ask for your email address. Just click that image on the top right hand side of the blog and you'll be taken straight to the report. You can read it online or download it for later. No strings. No cost. No email required. Enjoy your free copy of Healthy Weight Loss Success, and do feel free to browse the blog. It's only updated occasionally these days, but there is a wealth of information in the archives. Take some time to poke around. Want regular health tips, inspiration and recommendations? Join our Facebook page. We do update that at least once or twice a week. See you over there.